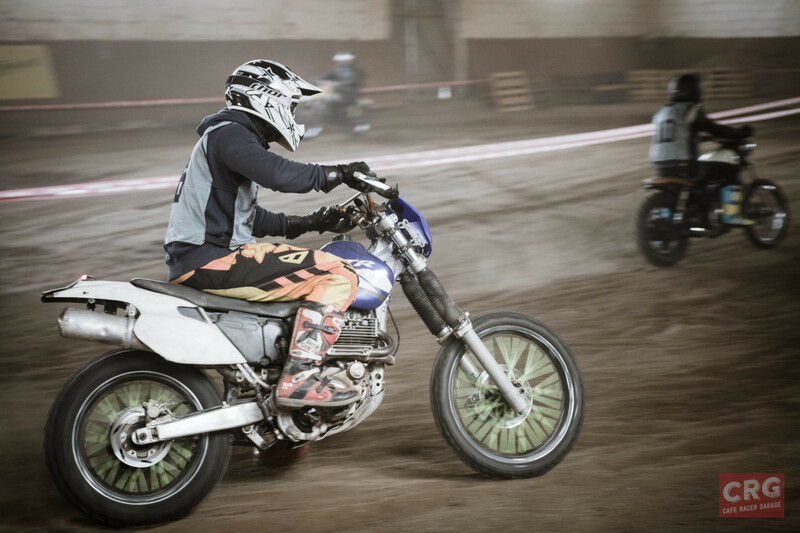 Almost precisely a year ago, I had a pleasure to visit Przywidz (a town near Gdansk, Poland). 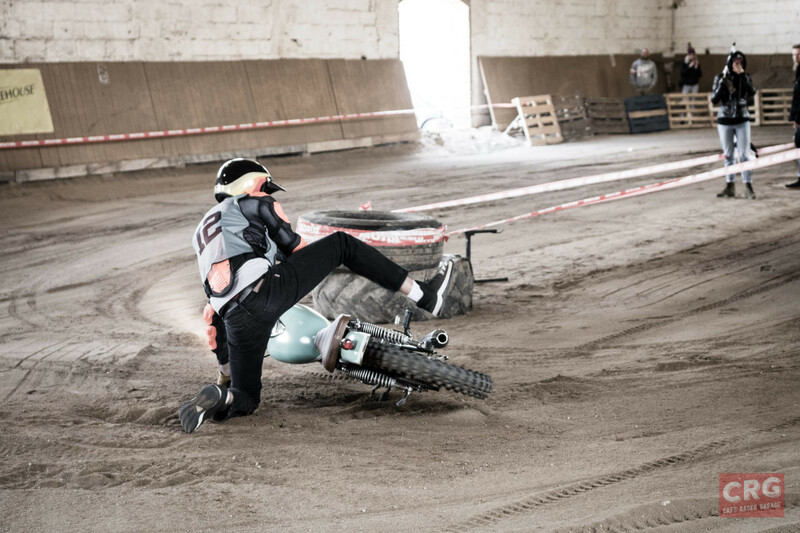 – You can read about it here. 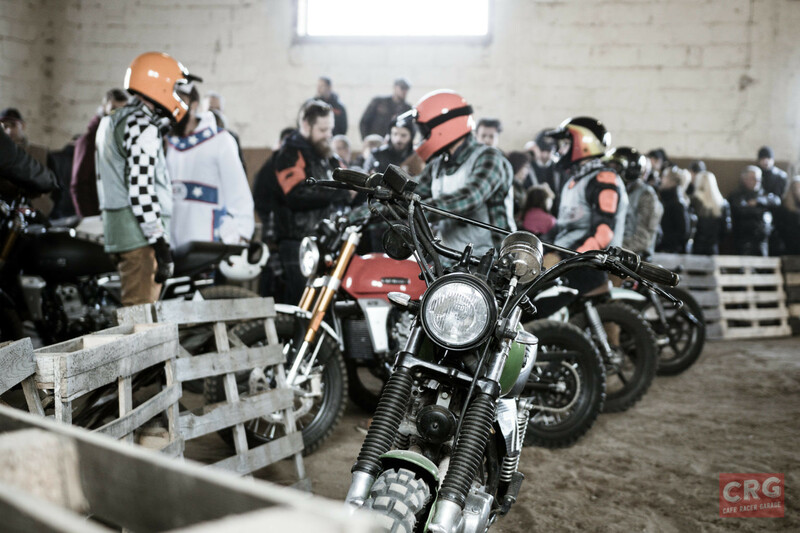 I was there for the same reason – Custom Days event was taking place there on warm April weekend. 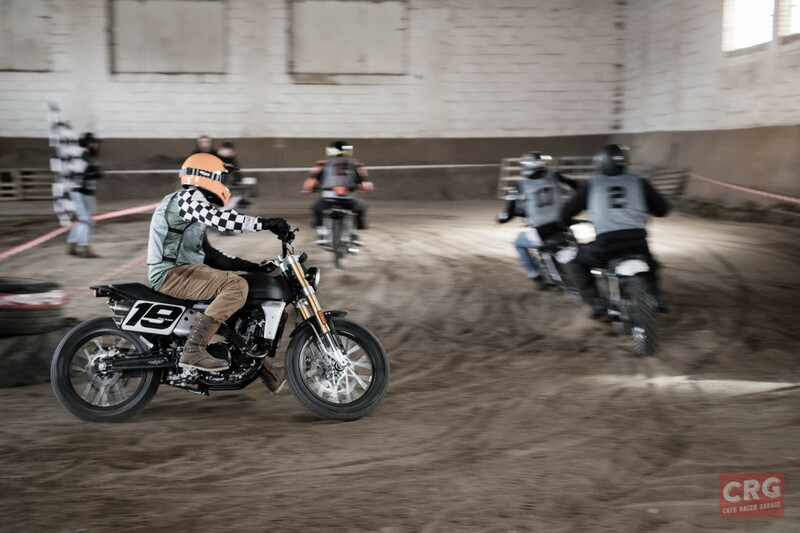 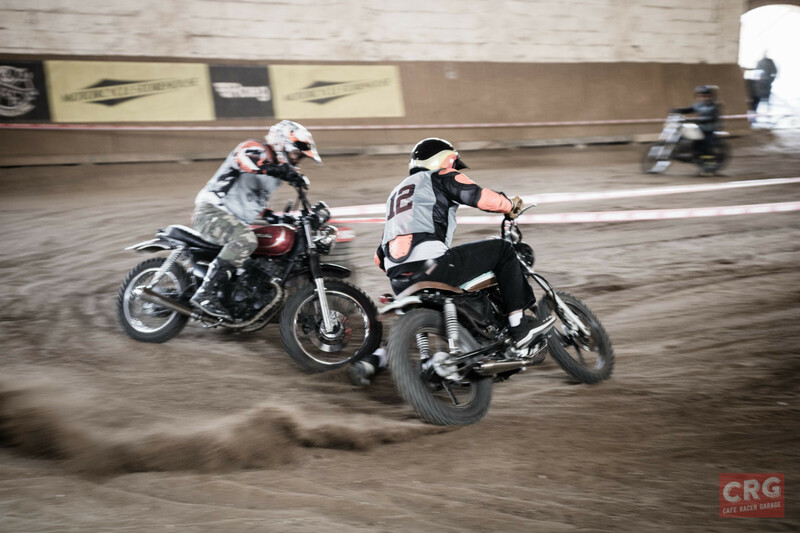 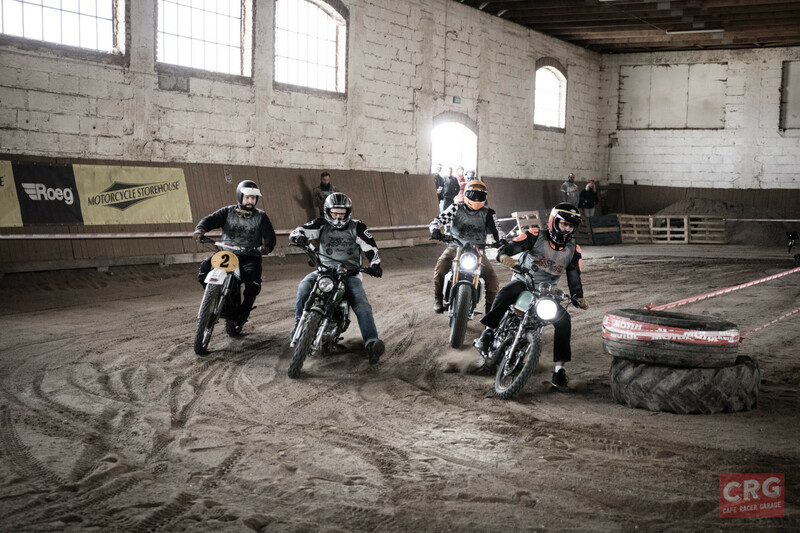 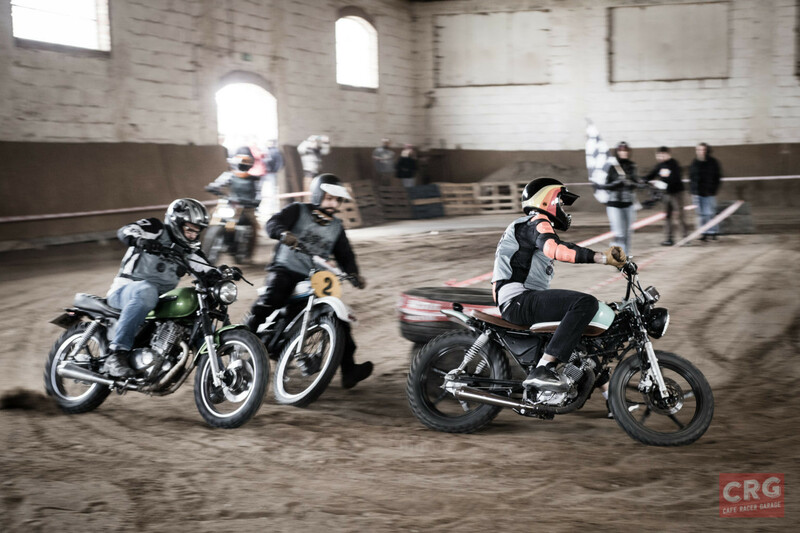 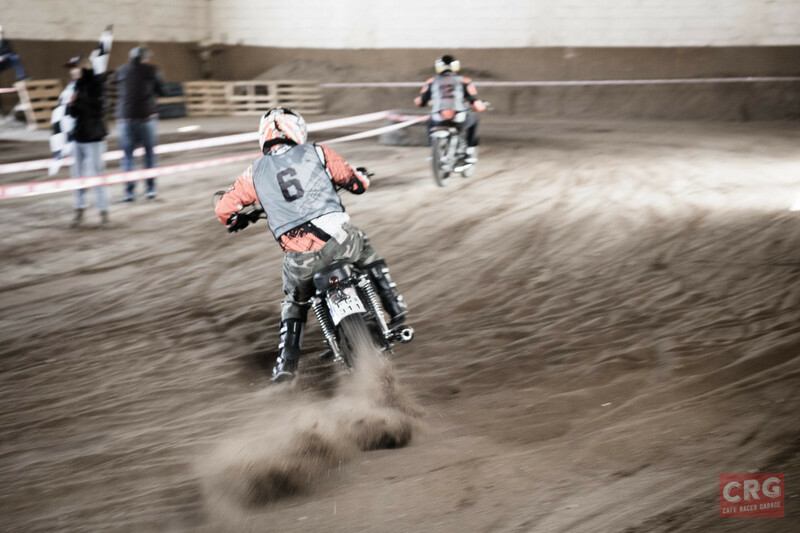 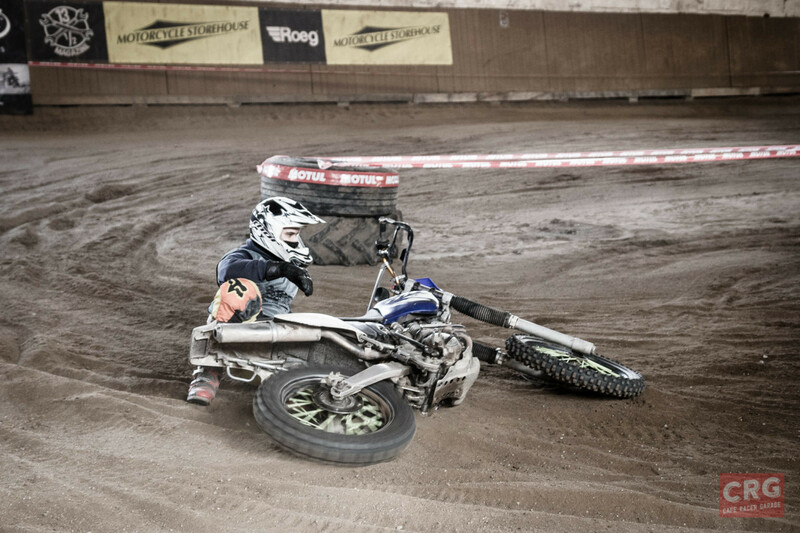 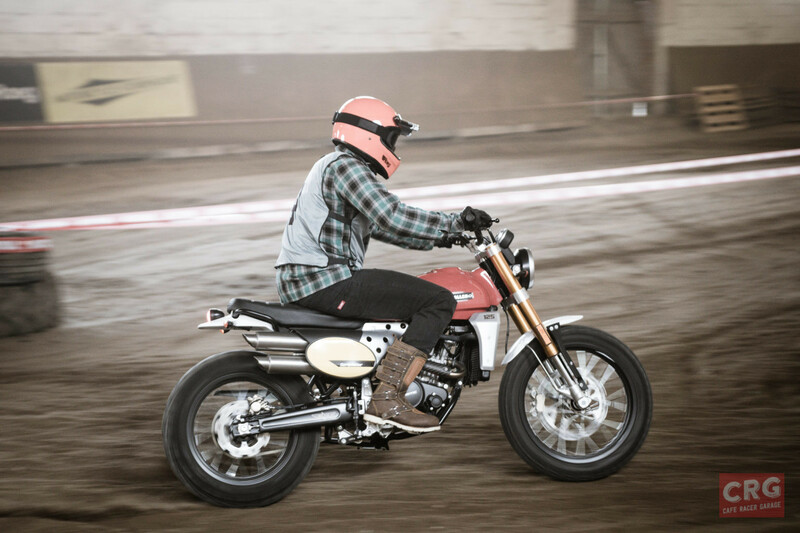 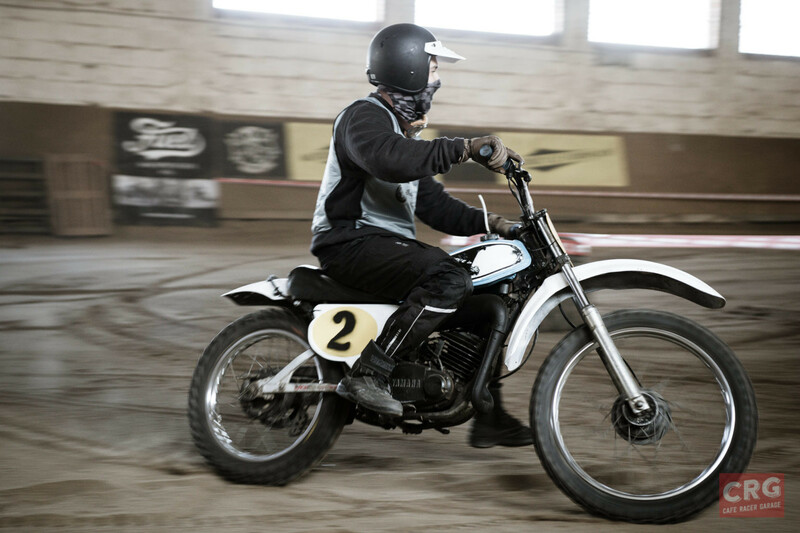 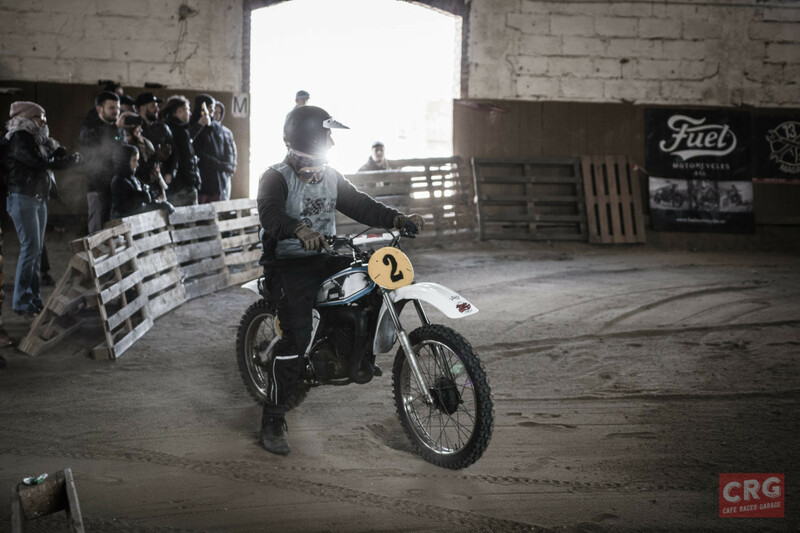 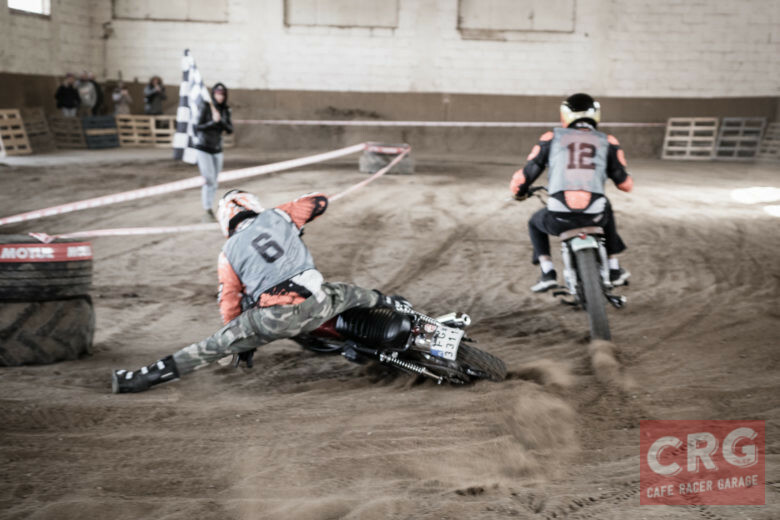 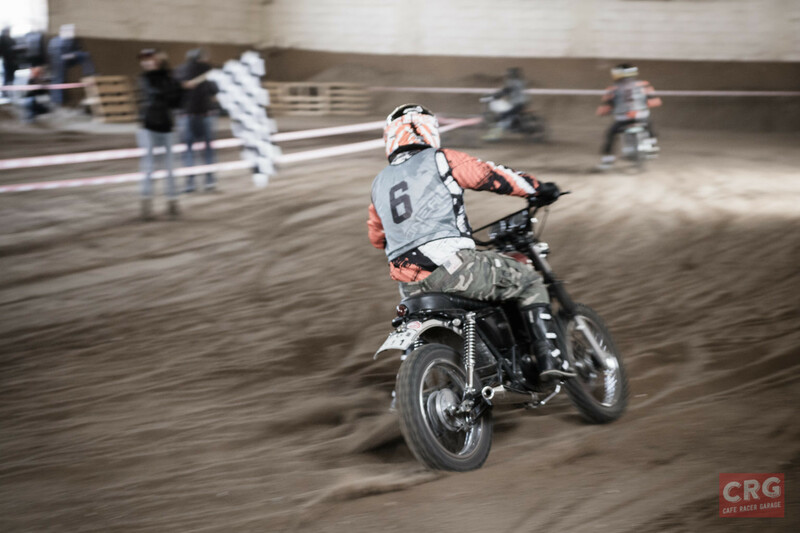 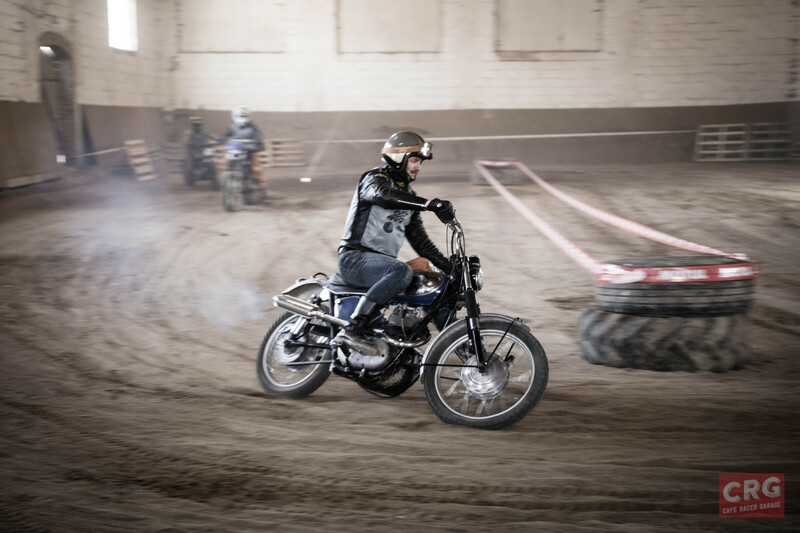 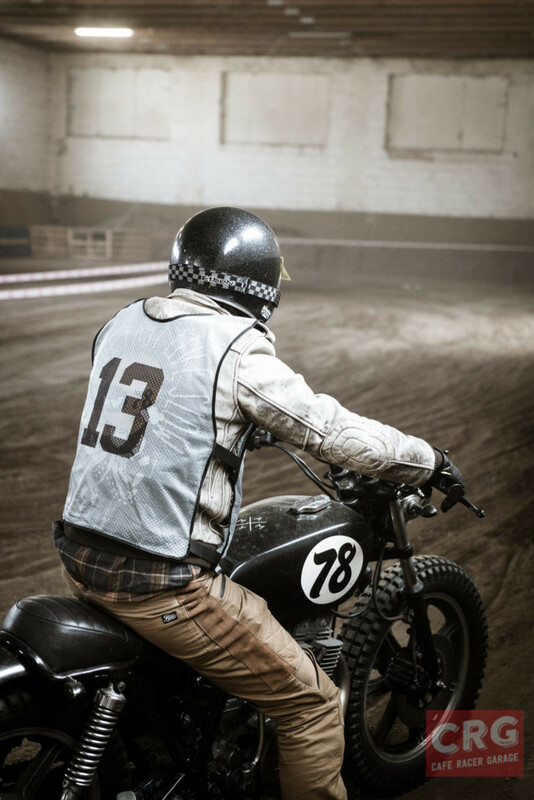 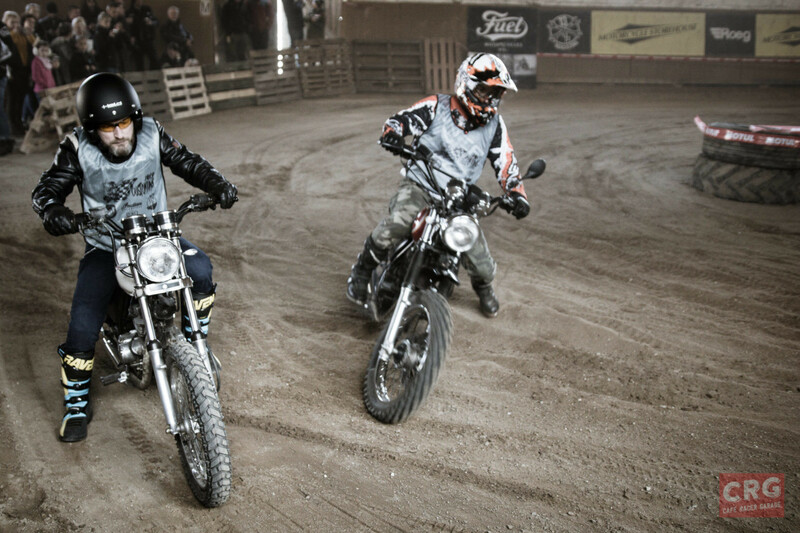 This year – I made more photos of brilliant Mini Flat Track – called Donkey Dash racing… and it wasn’t warm at all. 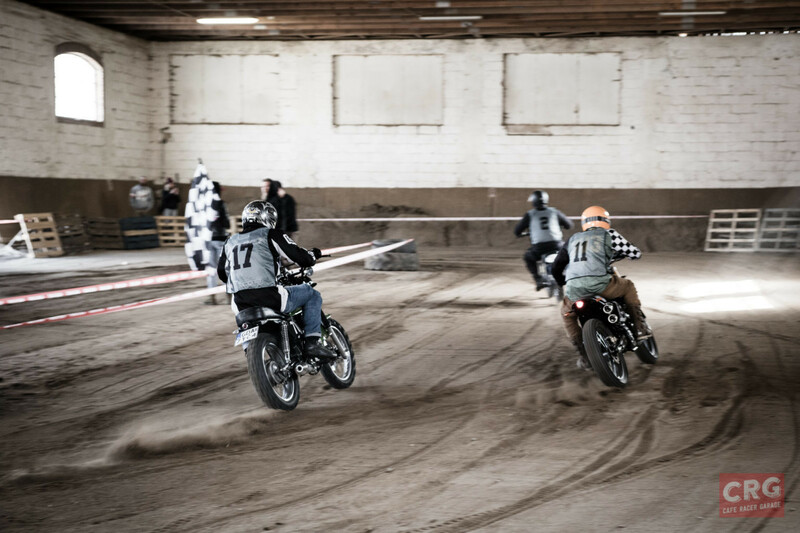 Apart from the weather, which caused fewer visitor motorcycles to show up, the game was on. Twelve participants gave their best, and the fight was brutal… After a while, there was a ton of dust in the air, on the clothes and in the nose. 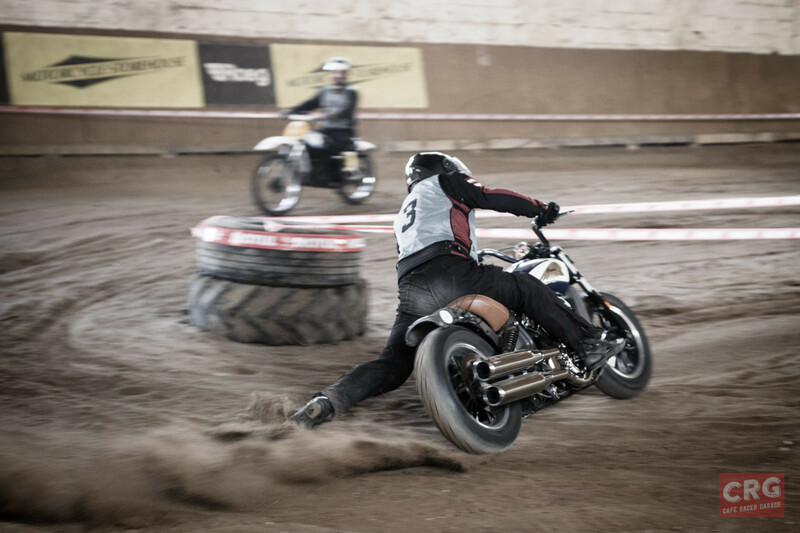 But it didn’t stop the audience or the riders from having fun. 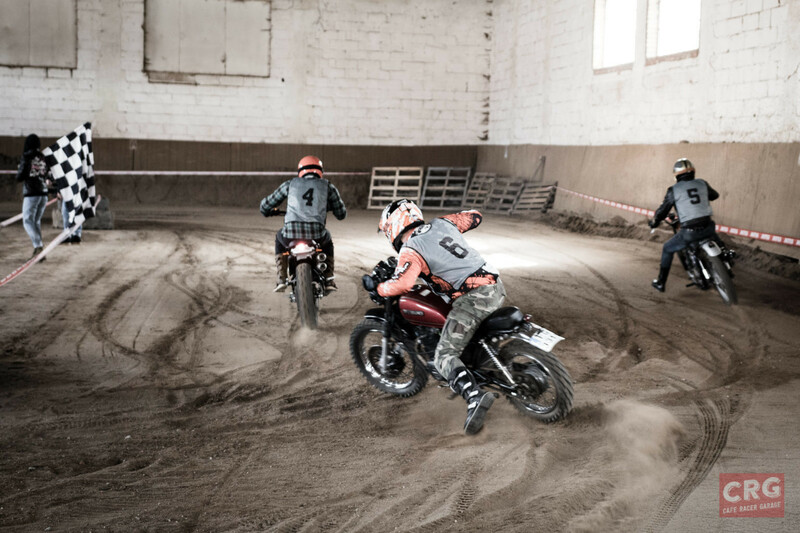 Four laps around a small “In-door” track (located in an old stable). 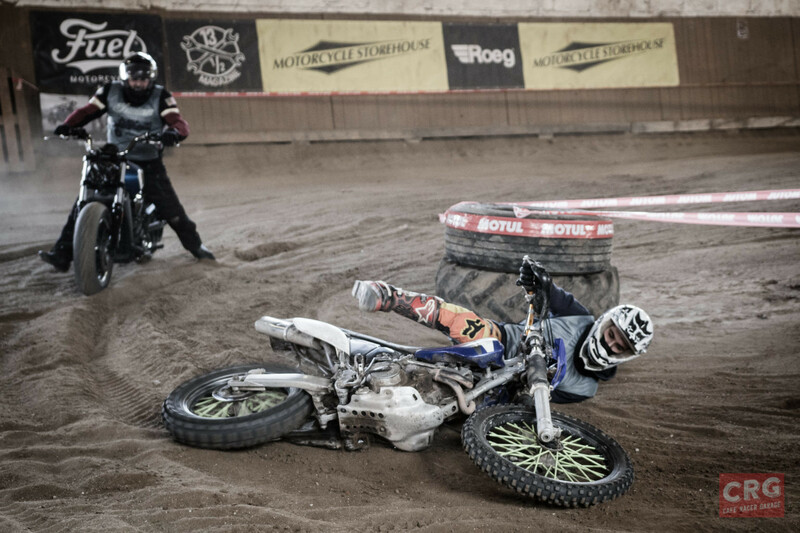 Simple cup rules: 3 sets of riders compete for three times (starting each time from a different race line). 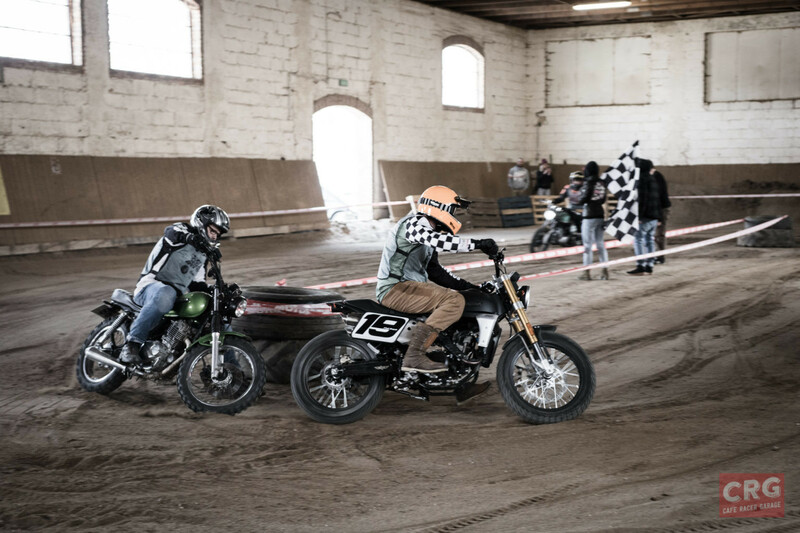 Afterwards, three final races take place, to pick a winner. 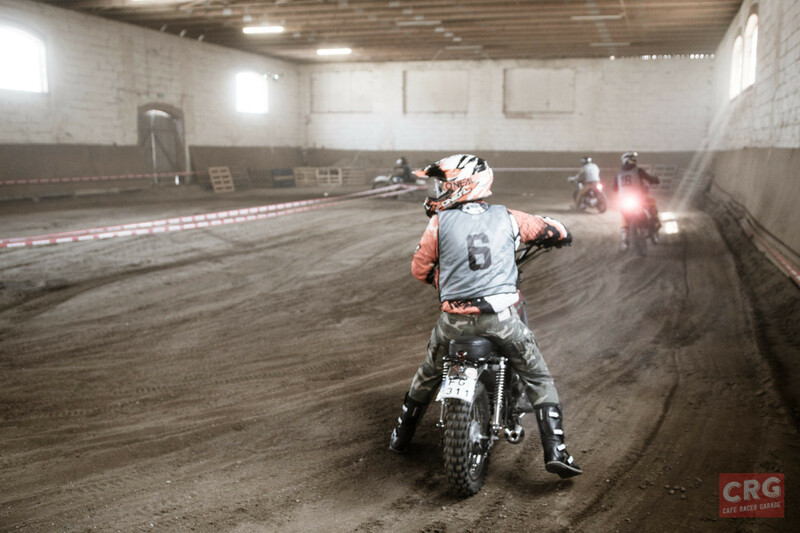 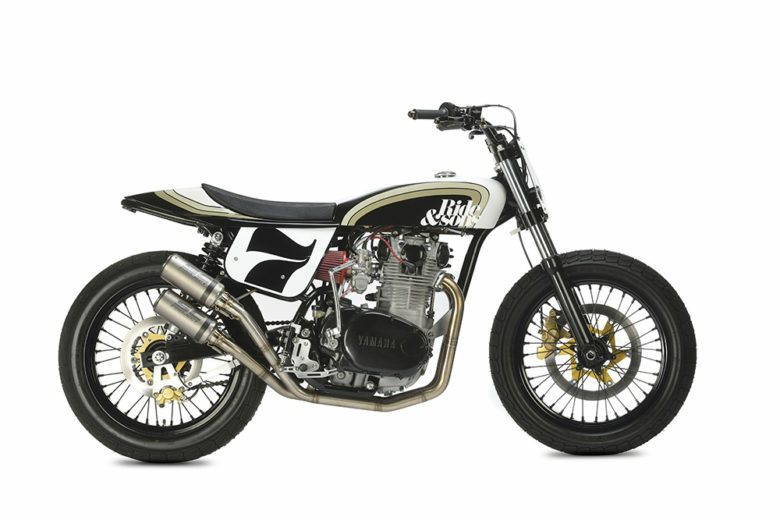 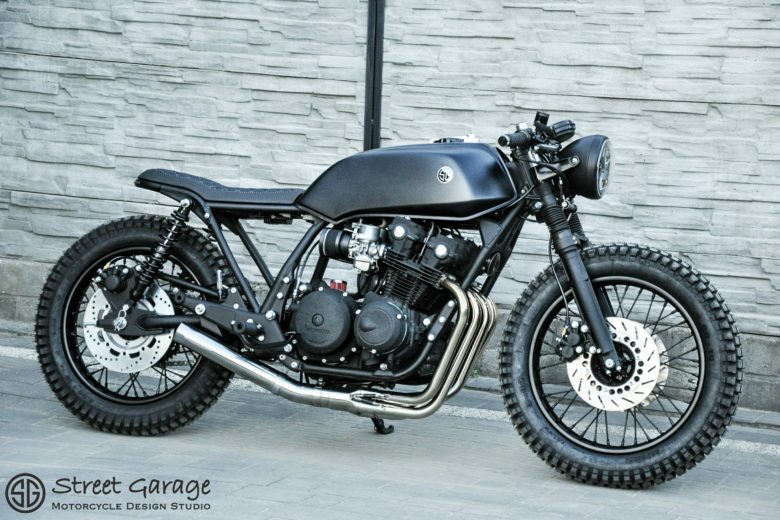 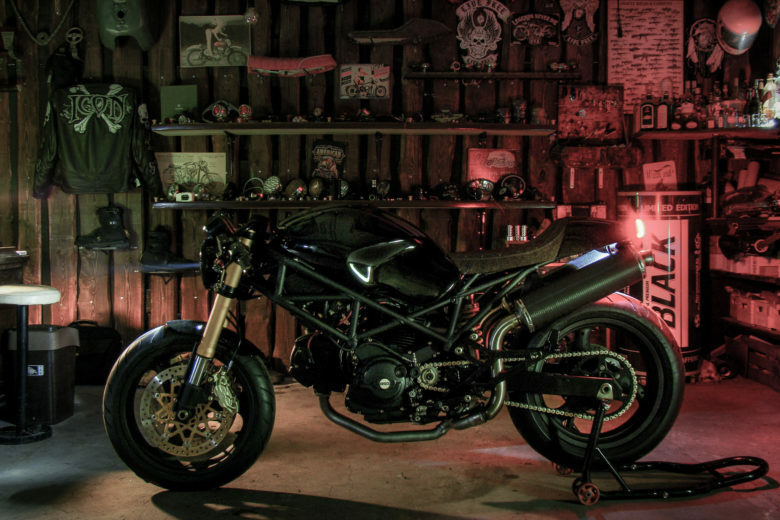 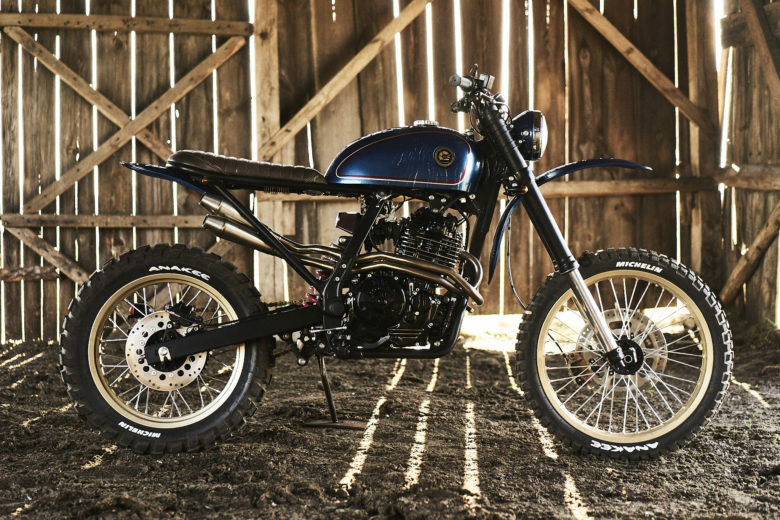 Motorcycles allowed are mostly small displacement scramblers or cross motorcycles. 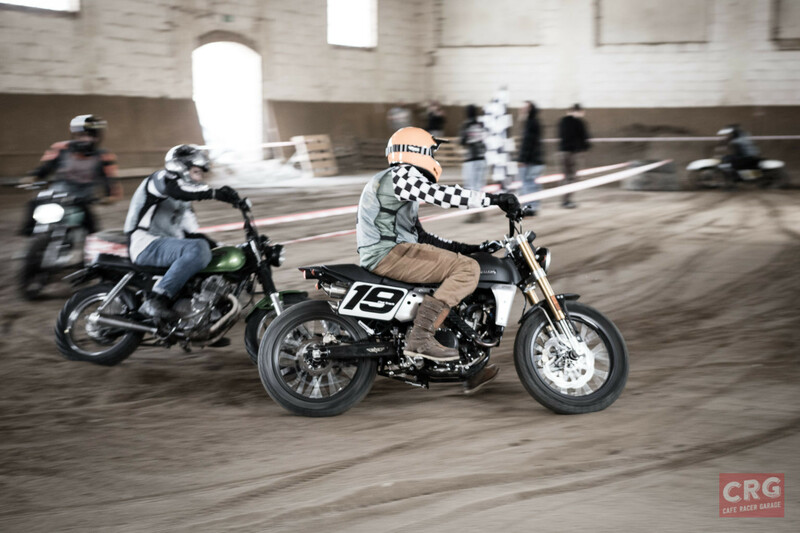 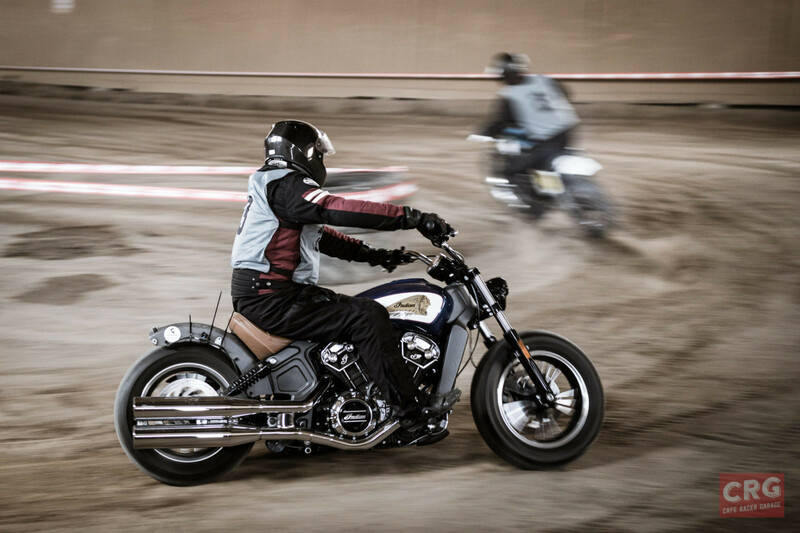 But (as You can see on the photos) – Indian Scout was also invited. 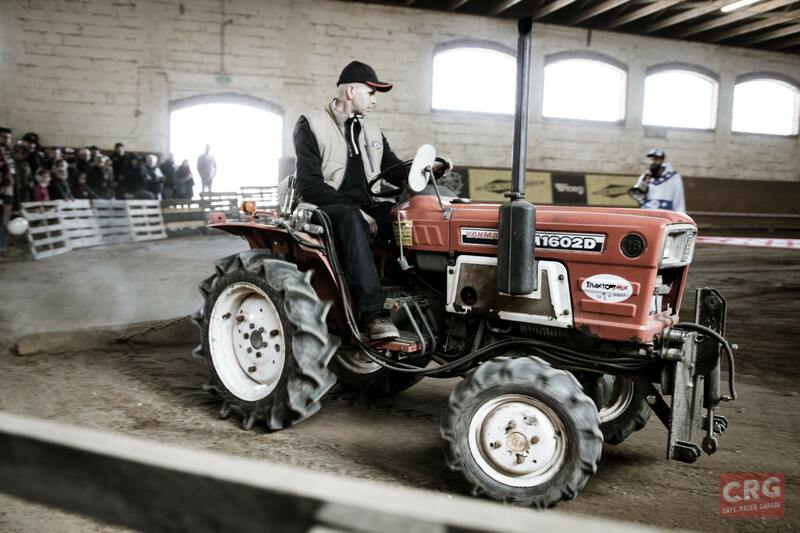 For pure fun, as it didn’t stand many chances with lighter and dressed with better tires competition.